The club was formed in 1895 as a nine-holer and has been enjoyed regularly down the years by literary giants such as Conan Doyle, AP Herbert and AA Milne. 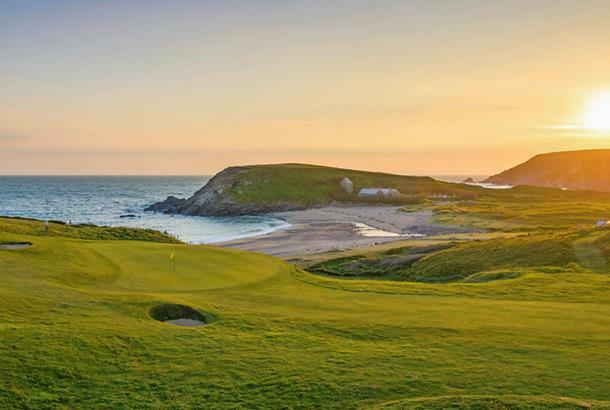 Framed by sandy coves and protected reed beds, the course is situated on the cliffs of the Lizard Peninsula just a few miles from the most southerly point on the British mainland. So you can expect far-reaching views and lots of wind! The 394-yard 10th begins with a simple tee shot at the marker and continues with a downhill second to an ocean-side green with a ravine to the right. It ends with a dreamy minute or two of putting. If you are in the area this course is a must, from the pro shop to the club house bar all very inviting and friendly. The course is a great challenge with the greens in a superb condition. A course that is a great challenge, that you will enjoy as much as the fantastic views. A must for all golfers who are fortunate to be down that way.